Lombok and the Gili Islands have an abundance of bunaglows being the original type of accommodation built on the islands. Majority of the bungalows offer a back-to-basic stay yet with turquoise blue water and powder white sands at your doorstep. 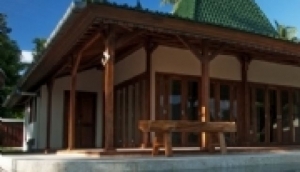 Bungalows tend to be more for the low budget minded, however you can find more recently built bungalows with modern amenities providing a comfortable base from which to explore the islands.